Whether you are shipping your car to or from Florida, Best Price Auto Shipping is your online source for getting the BEST PRICE on shipping your vehicle. Fill out the short, simple, no obligation quote form to the right, then start receiving and comparing your auto transport quotes. Do you need to ship a car to or from the State of Florida? Florida is one of the most beautiful places to live or visit in the US. Maybe your are moving to Florida or just need to have car transported to or from here, either way at Best Price Auto Shipping we will guide you through the entire Florida auto shipping process. Fill out the short, simple quote form above, or call 800-691-2347 to start receiving Florida auto shipping quotes. Often referred to as the "Sunshine State", Florida has so much to offer. From it's amazing beaches to world renowned theme parks, Florida is a wonderfule place to vacation or live. It's no wonder that Florida is the fourth most populated state in the US. 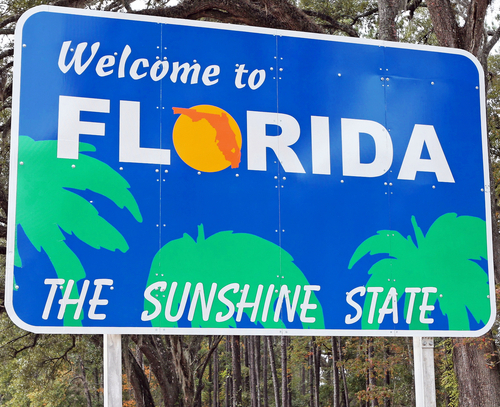 More fun facts about Florida include, the Sunshine state, was the 27th state to be admitted in the United States of America on March 3rd 1845, after becoming a U.S territory in 1821. The name Florida originates from Spanish, Pascua Florida (Palm Sunday), given by the Spanish explorer Juan Ponce de Léon, who arrived the land on Palm Sunday in 1513 . Thus, Florida was the first part of mainland US visited by Europeans. The state only border to Alabama and Georgia in the north, and has a total land area of 58,560 square miles, which make it the 22nd largest in size . The total population is about 19,894,000, the 3rd biggest in terms of residents. The capital of Florida is Tallahassee, with a population of about 182,000 (2011) rising up to 376,000 in the greater area. The largest city in Florida is Jacksonville containing about 843,000 people (2013) with more than 1,5 million in the greater area including Jacksonville-St.Marys-Palatka. Other major cities in Florida would be Miami (418 000), Tampa (353,000) and Orlando (256,000). Meanwhile, Florida is characterized by several cohesive metropolitan areas, whereas Miami-Fort Lauderdale (6,4 million), Tampa-St.Peterburg (2,8 million) and Orlando-Deltona-Daytona beach (2,92 million) are the largest ones. The climate would vary from subtropical up in the north down to a truly tropical climate in the south. One of the main reasons to visit the Sunshine state is the pleasant and stable weather. The temperatures range from low 40 F in the north to low 70 F in the south during wintertime, and a mean high in the summer in the low 90s F. The average daily temperature is 70.7 F, which makes it the hottest state in the country. Further, Florida is know to be the lightning capital of the US, having more lightning strikes than any other state. There is about 9,000 gas stations in the state, and the current average gas price is $2,56 pr gallon. Florida has some of the cheaper gas in the country. There are many major federal highways going through the state, the ones accounted for here are the longest one (more than 450 miles total.) 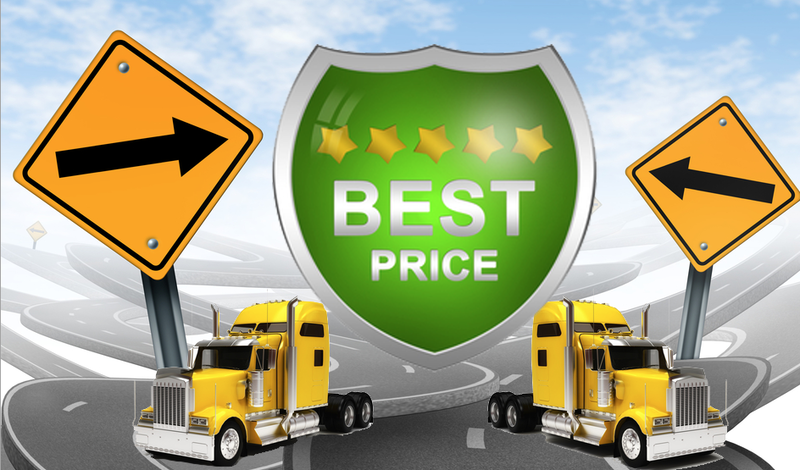 So whether you are shipping a car to Florida or from Florida, Best Price Auto Shipping has you covered.